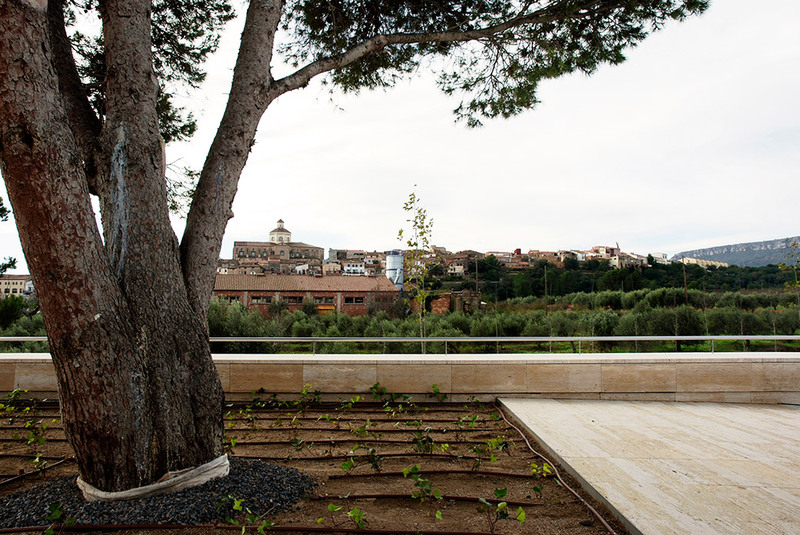 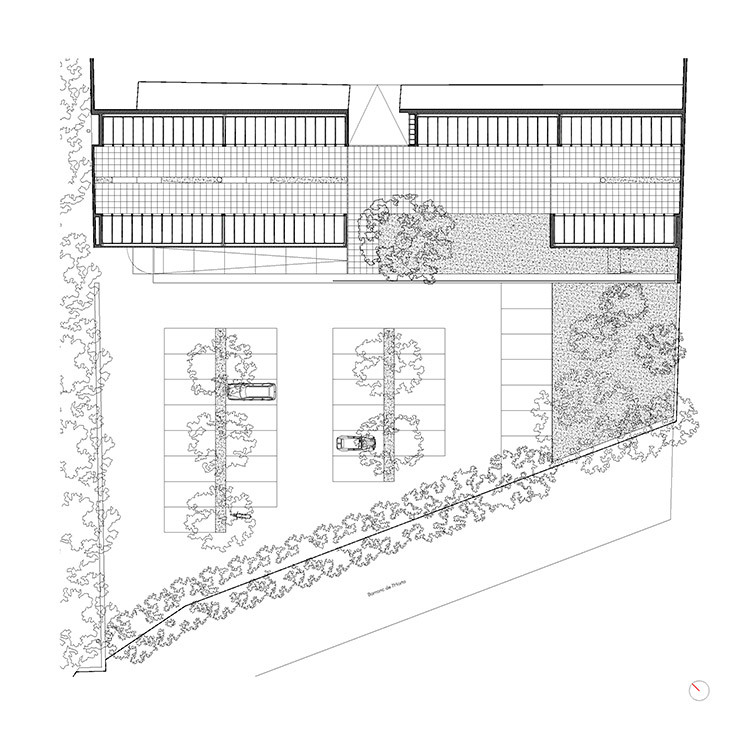 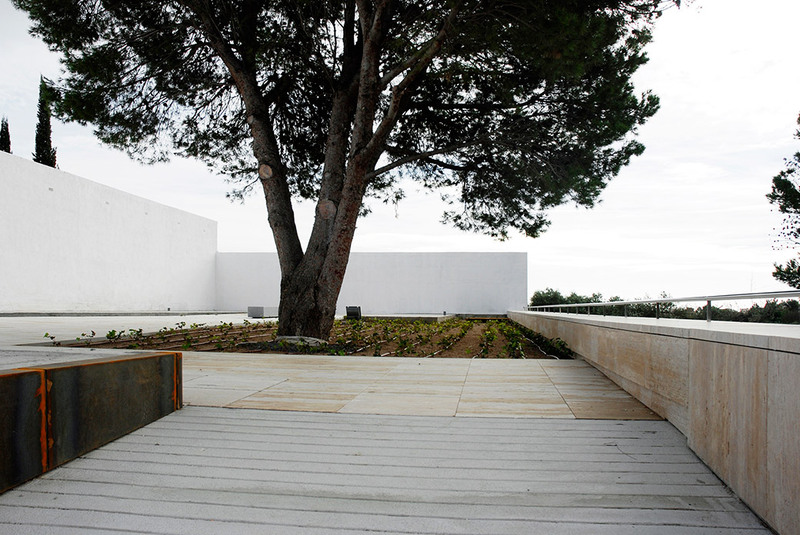 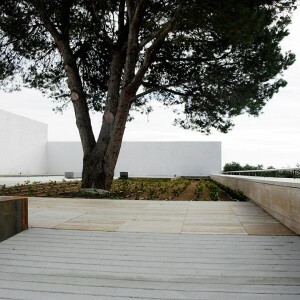 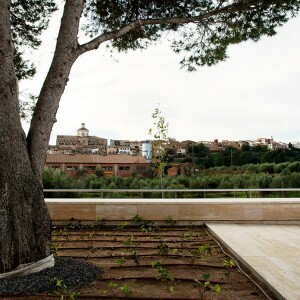 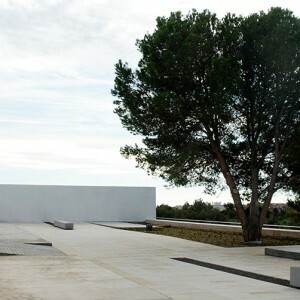 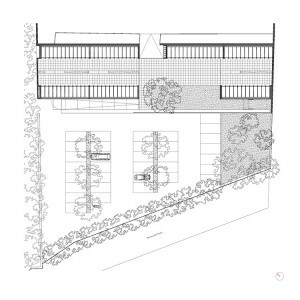 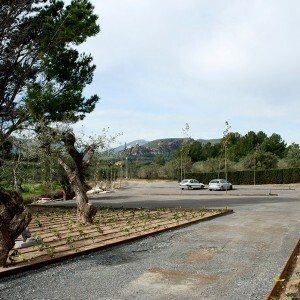 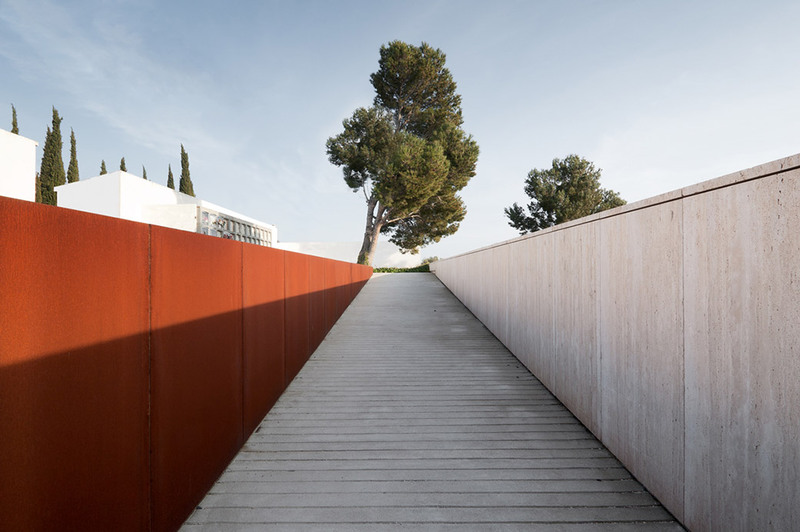 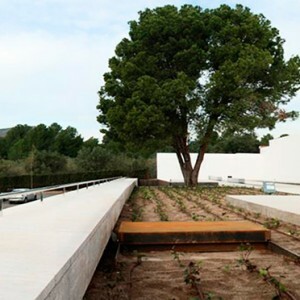 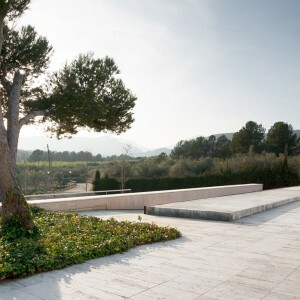 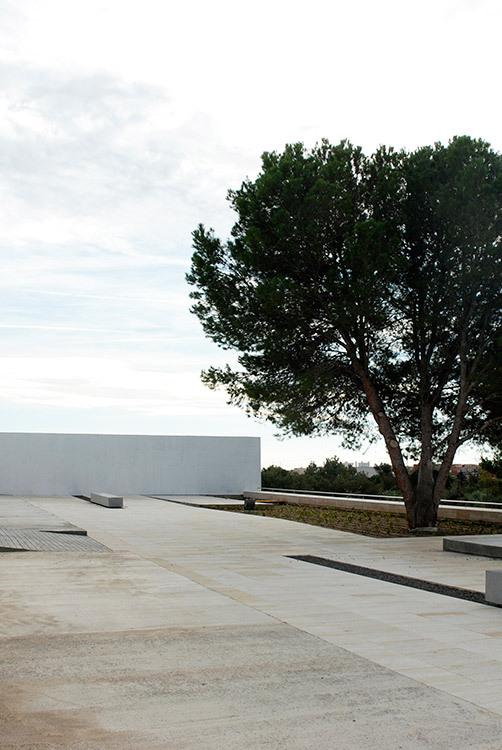 AAB Arquitectes – JOFRE ROCA ESTUDI D’ARQUITECTURA: The cemetery of Mont-Roig del Camp, surrounded by fields of olives trees (Olea europaea), was built in 1862 and is located close to the town just north of it’s his historic center. 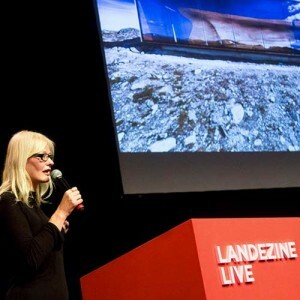 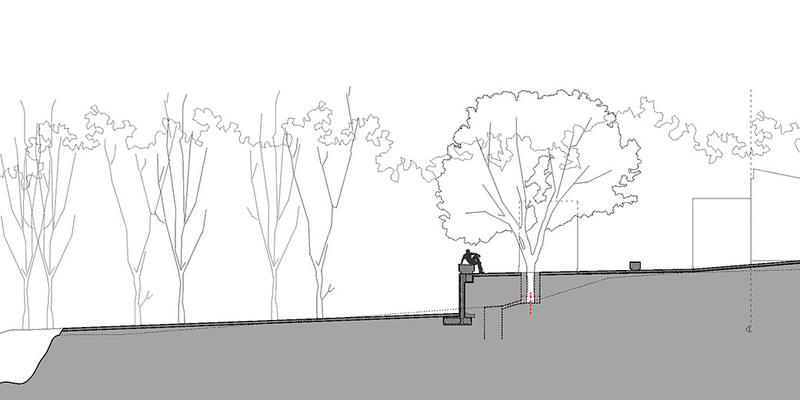 For its recent extension, the present enclosure was amplified towards the south where there was available free space. 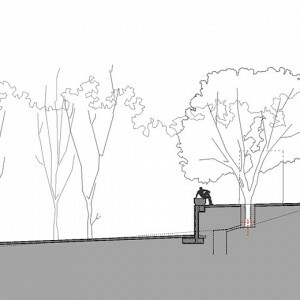 The existing height level was maintained. 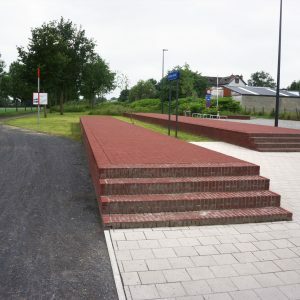 In the lower level of the unoccupied area a parking was constructed and a ramp now solves a new access from this area. 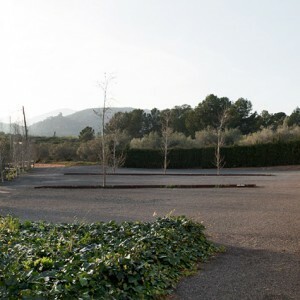 The parking area is limited meridional with a ravine, bordered by poplar trees (Populus alba). 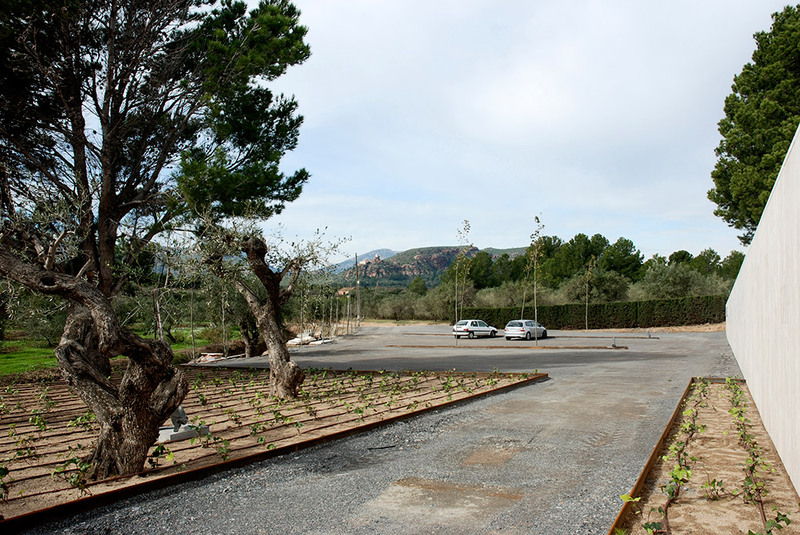 Plane trees (Platanus hispanica) were planted in the tree pits in the parking area and olive trees (Olea europaea) at the eastern flowerbed, the same olives trees as found in the neighboring fields. 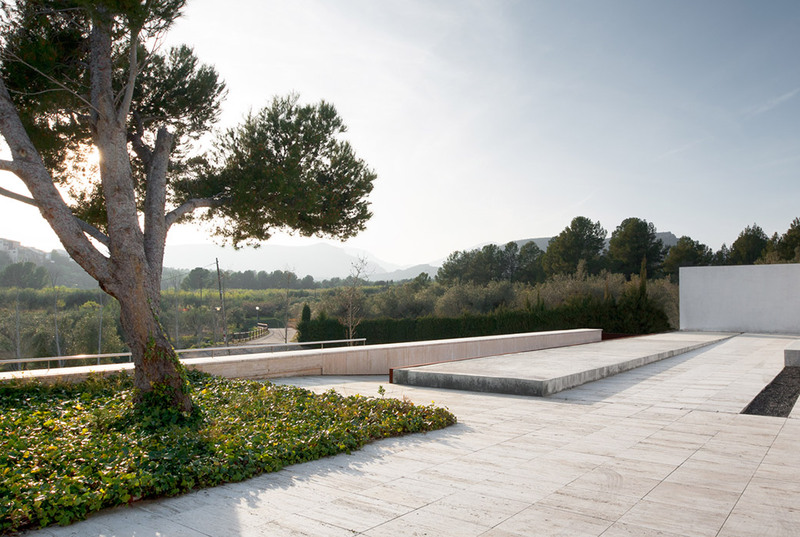 The existing majestic pine (Pinus halepensis) which dominates the central distributor space was integrated into the overall intervention. 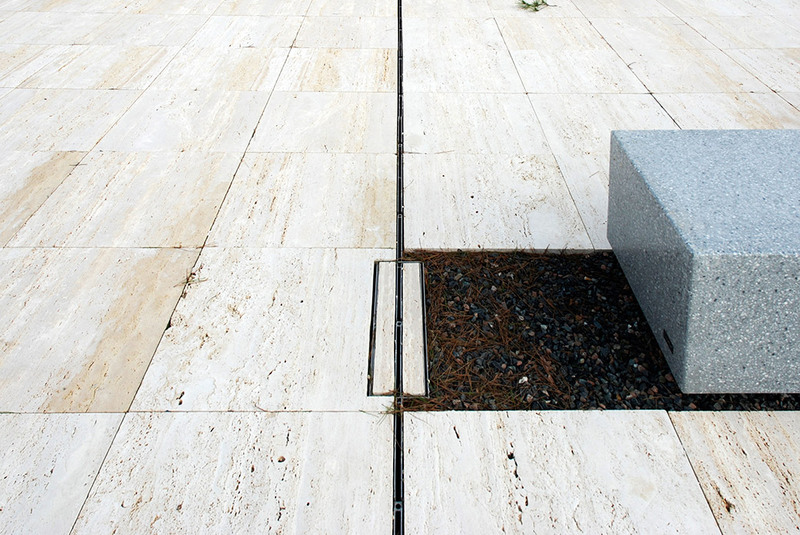 Concrete platforms distributed in two linear comb forms are planned to host columbariums when the old enclosure space is fully used. 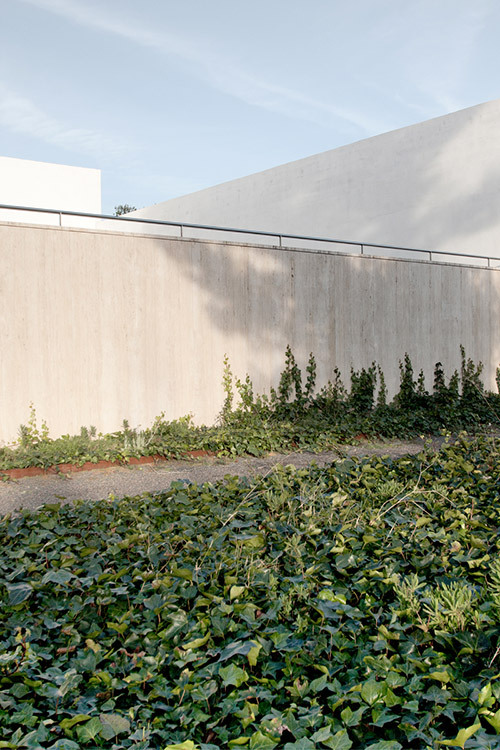 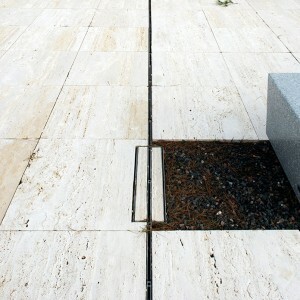 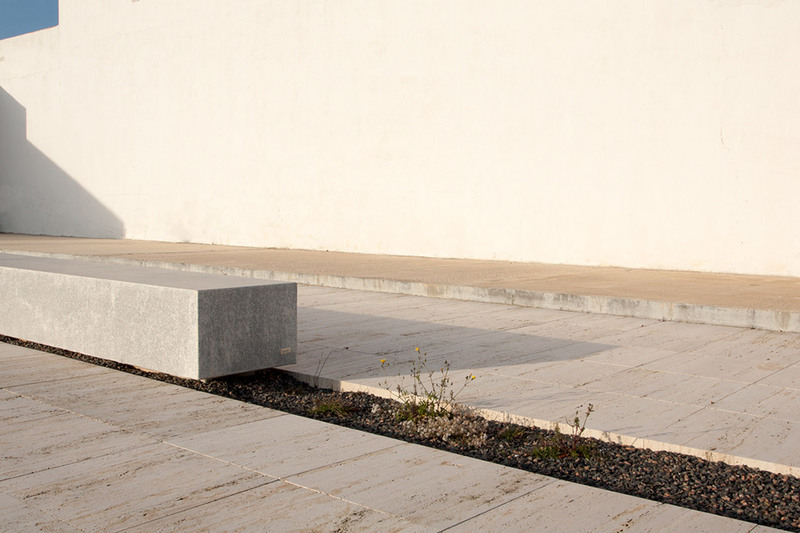 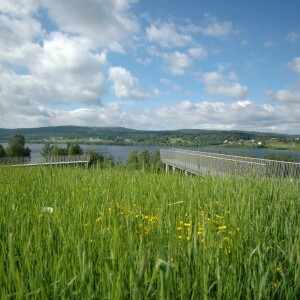 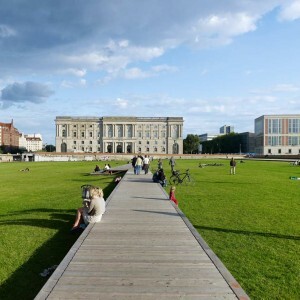 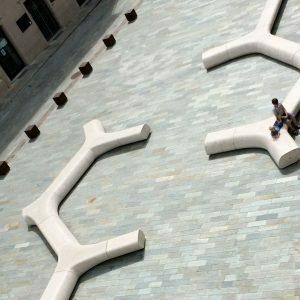 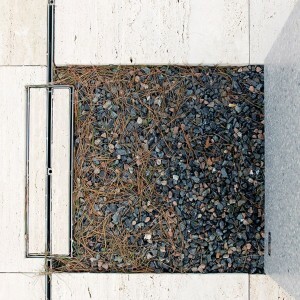 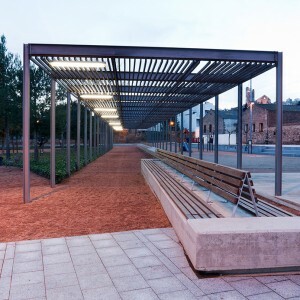 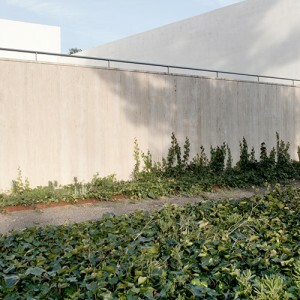 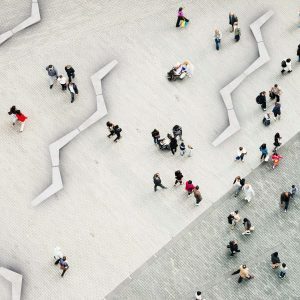 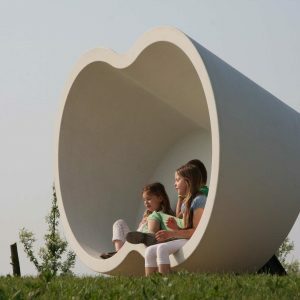 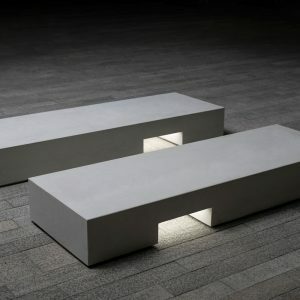 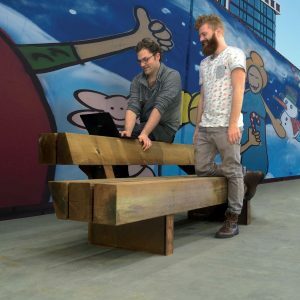 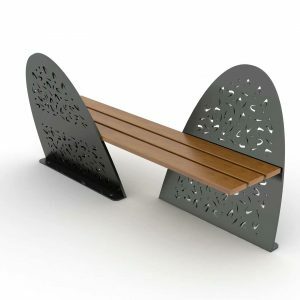 In the middle between these linear forms were placed flower beds and linear concrete benches. 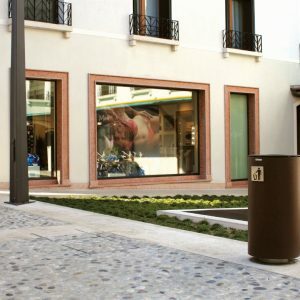 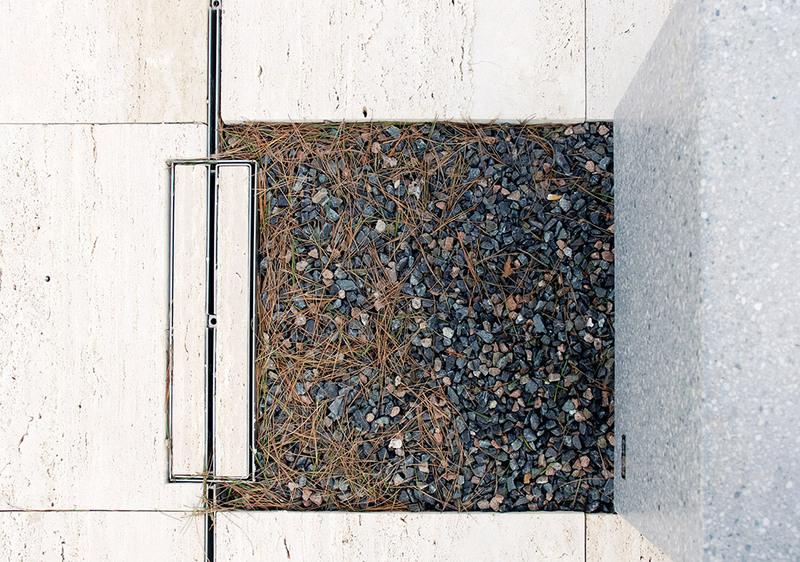 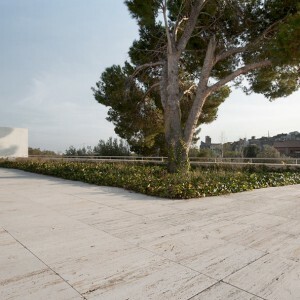 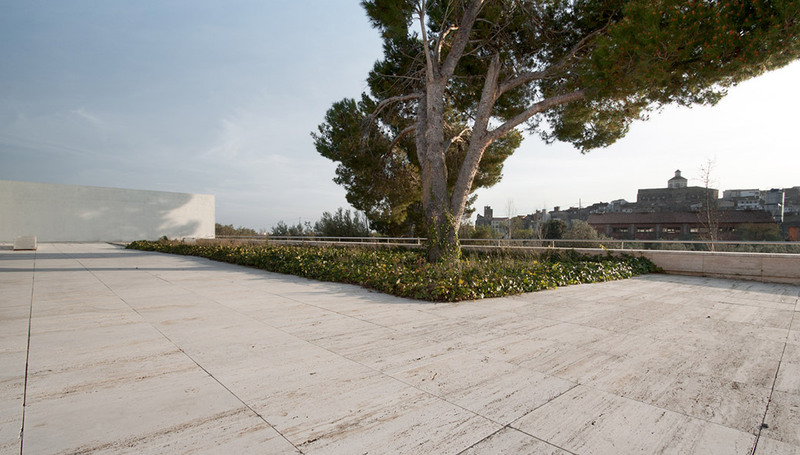 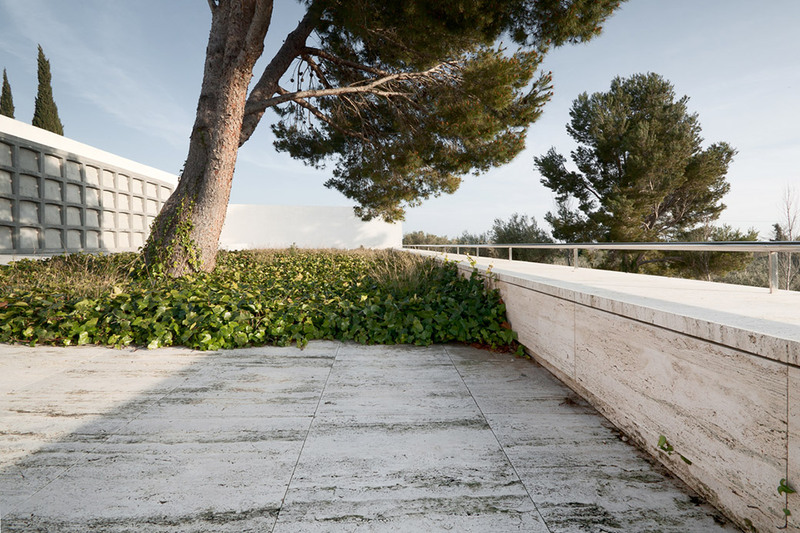 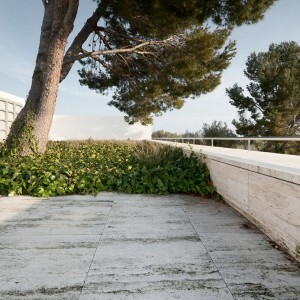 The earthy color and texture of the Roman travertine placed as flooring and cladding material, combined with the Corten steel and gravel from of a local stone partridge, are materials ideal for maintaining the color harmony with the surrounding environment. 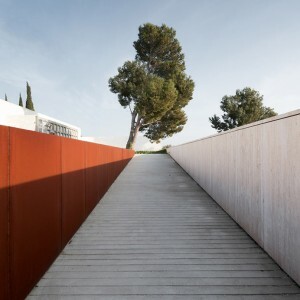 Location: Camí de Vilanova d’Escornalbou s/n.